The day is coming soon! 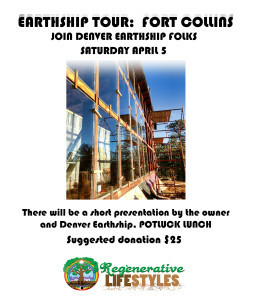 Earthship Tour- Fort Collins! We are still arranging transportation details, and will hopefully have a bus that can accommodate many people from Fort Collins to the mountains. 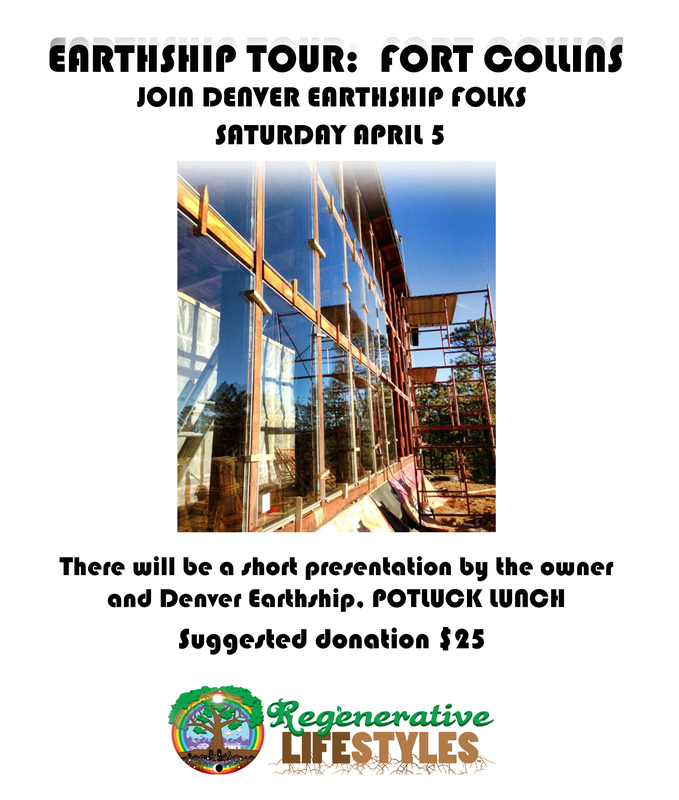 There will be a short presentation by the owner and Denver Earthship, and a potluck lunch. Accepting cash on the day of or donate what you can via link or paypal: denverearthship@gmail.com , nobody will be turned away. We will gather and then head up the mountain to the Earthship from there, possibly in a bus. Returning around 5pm. Text or Call Robin at 808-446-2628. Please bring water, warm clothes, a packed lunch or something to share for the journey.